Noble Accounting simplifies the complicated tax code so that you, the taxpayer, can understand the effect on your net income. The changes to the 2018 Tax Codes are in effect; your taxes may be simplified or more complicated. Whether you file taxes yourself or are seeking a tax professional for advice, we help you understand the effect on your individual situation. 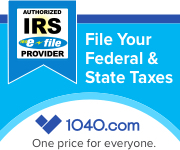 We assure compliance with all Federal and State regulations while minimizing your tax obligation. We cater services to your specific needs and are committed to client satisfaction as the cornerstone of our corporate culture. In today’s fast-paced world, we exceed at providing our clients with the most efficient, up-to-date and innovative financial services possible. Our Staff welcomes the opportunity to work with you and share our knowledge. Contact us if you are seeking a new accountant or simply prefer to discuss your current situation and a quote for the comprehensive services we offer. What is the value of my Charitable Contribution?